← Thanks for the “link”? It’s interesting that the hyphen in ‘second-hand’ has been dispensed with off and on in the various editions of this book. As it happens, I approve of leaving the hyphen out. 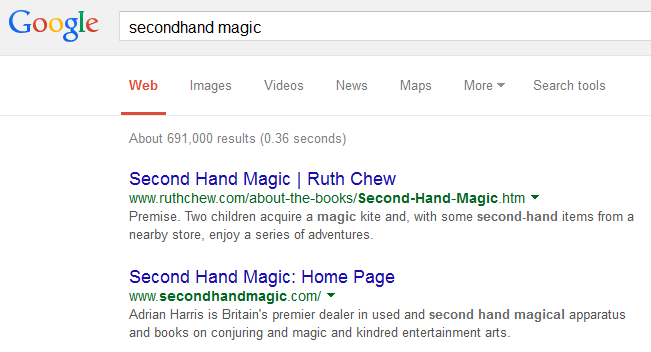 Speaking of Google search results… Adrian Harris, I’m truly sorry. 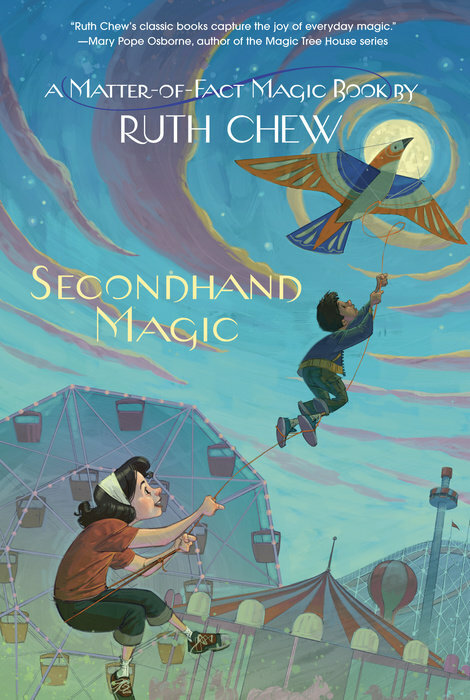 Apparently, a domain called secondhandmagic.com is not as interesting to Google users as a page about Ruth Chew’s book by the same name.